Newtec is spreading out. 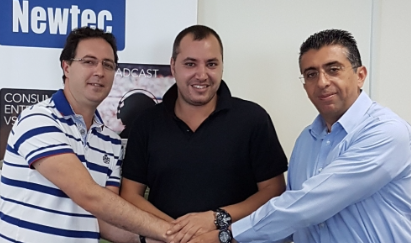 They have a new distributor, Virtel, in Dubai who has already taken on a large stock order including broadcast modulators and modems and VSAT equipment for a range of applications and in bigger multiservice networks. Virtel is currently authorized to distribute VSAT and broadcast equipment to customers, which can then obtain satellite service through independent operators. As the company already has a large supply of stock, Virtel will also now be able to supply Newtec equipment to Internet service providers, satellite operators and system integrators.